Jesus has told this Samaritan woman about the “living water” that He can give. Jesus’ wise, tender words have piqued her interest. Before Jesus can give her His living water however, He must bring her to confession of her sinful life. She must see her true condition and her need of the salvation of Jesus and the living water of the Holy Spirit that only He can give. Jesus will use grace and truth to draw a confession out of this adulterous Samaritan woman. The woman said to Him, “Sir, give me this water so that I won’t get thirsty and have to keep coming here to draw water.” John 4:15 This woman is still talking about earthly water. It is hard work getting this water. She would love not to have the drudgery of going to the well daily to get this earthly water, nor would she have to hide from the others in shame. She wants this “living water” that never runs dry. Jesus the Giver of this living water is drawing this sinner to Himself – the well of salvation. Jesus doesn’t point out this woman’s sin to her. Instead He makes a request, “Go call your husband and come back.” John 4:16 Jesus makes a simple request. He is testing her to see if she will be honest with Him. The woman answers Jesus, “I have no husband.” John 4:17 This sinful woman is honest with Jesus. She must face herself. Jesus wants this sinner to see the face of God, but also herself and her need for a Savior. She must recognize her spiritual poverty and thirst for the spiritual water Jesus gives. We cannot fully see the depth of our deprivation until we see it next to the holiness and character of Jesus. Jesus said to her, “You are right when you say you have no husband. The fact is, you have had five husbands, and the man you now have is not your husband. What you have just said is quite true.” John 4:17-18 Jesus who is all-knowing already was aware that she had no husband at the moment. As a matter of fact, Jesus knew that this woman had been married five times and was now living with a man. He affirms that she is telling the truth. When Jesus draws this woman into believing in Him, He will make this adulterous woman into His Virtuous Bride. Confession, repentance and salvation through Jesus must be first. Then we must spiritually hunger and thirst for more of Jesus, the Word and the Spirit. There is no drinking of the living water that Jesus gives unless we thirst for it. Because Jesus knew all about her life, this Samaritan woman perceived that Jesus was a prophet of God. Jesus is not only a prophet; He is the Supreme Prophet of God – the very Word of God brought to life and through whom all things were created. “Sir, I can see that you are a prophet.” v19 No doubt this sinner is getting a little nervous about all that Jesus knows about her, so she changes the subject. “Our fathers worshiped on this mountain (Mount Gerizim), but you Jews claim that the place where we must worship is in Jerusalem.” This woman is seeking truth. She has been taught that God’s presence is in the temple on Mount Gerizim. The Samaritans built a rival temple on Mount Gerizim instead of worshiping in Jerusalem as God had instructed. They had established a false religion. This Samaritan woman understood worship and the need for sacrifice because the Samaritans believed in the first five books of Moses. But, king Jeroboam, who was made king over the Northern Tribes, had built a temple on Mt. Gerizim because he was afraid that if the Israelites went to Jerusalem to worship they would not return and he would lose his position and power. He also made two golden calves as their gods. (see 1 Kings 12:25-31) After seeking advice, the king made two golden calves. He said to the people, “It is too much for you to go up to Jerusalem. Here are your gods, O Israel, who brought you up out of Egypt……and this thing became a sin … Jeroboam built shrines on high places and appointed priests from all sorts of people, even though they were not Levites.” In other words, Jeroboam created a counterfeit religion in direct disobedience to God’s instructions to Moses. He even changed the feast days and sacrificed calves to these idols (golden calves). Animal sacrifices and manmade religion are inadequate next to God. This woman is focused upon the place of worship, but Jesus wants her to focus on the heart of worship. When questioned by this woman about the place of worship, Jesus responded, “Believe Me, a time is coming when you will worship the Father neither on this mountain nor in Jerusalem. You Samaritans worship what you do not know; we worship what we do know, for salvation is from the Jews. Yet a time is coming and has now come when the true worshipers will worship the Father in spirit and truth, for they are the kind of worshipers the Father seeks. God is Spirit, and His worshipers must worship in spirit and in truth.” John 4:21-24 The old rivalries are on their way out and a new way of worship is on its way in through Jesus! Mount Gerizim or the temple mount in Jerusalem will be irrelevant to true worship. Jesus could have answered this woman very differently. He could have quoted scripture that said God’s dwelling place was to be in Jerusalem. Instead Jesus tells this Samaritan woman that God can be found in the hearts of humanity through the Holy Spirit and Truth. Those who have the love of God in their hearts –no matter what nation, tribe or tongue – will be in the New Eternal Jerusalem forever. There will be no divisions in the New Jerusalem. Jesus tells this woman that Samaritans worship what they do not know. In other words, a manmade religion and confused, false truth. “A time is coming” means when the Holy Spirit is poured out at Pentecost in Acts 2. Without Jesus and the Holy Spirit, our spirit is dead in sin. When Jesus was resurrected, the new living and Eternal Temple of God arose. Jesus throughout the gospels called God “Father” because He is so intimately connected to His Heavenly Father in love and purpose that they are One. Jesus wants believers to also know God as our Heavenly Father who is as connected to us as He is to His Son because of our love and faithfulness to Jesus. Because of Jesus, we are God’s spiritual sons and daughters who have an intimate, close relationship with Him. (see Galatians 3:26; 2 Corinthians 6:18) We call Him "Abba" Father. Before Jesus, God had not been reproduced – He had no pure, spiritual Son after Adam sinned. No one called God “Father” until Jesus. It was prophesied in the Older Testament that God is Israel’s father. God called Himself Father, but no one else called Him by that Name until Jesus. After Jesus paid the price for sin on the cross, God has many sons and daughters through Christ. “Salvation is of the Jews.” God began His spiritual kingdom on earth through the small nation of Israel. All of the covenants, the Law, the promises and salvation through the Messiah were given to the Jews and the Jewish Prophets. Jesus came through the Jews to fulfill all of the Older Testament scriptures. The Savior of the world had His origin from God, but came through the Jews to obey the Law perfectly to release all from its penalty of death for disobedience. The Jews had a unique role in God’s plan of salvation just as Adam, Abel, Shem, Noah, etc. did before them and as the Body of Christ will have after them. As God had a plan for His people in the Older Testament, God has a unique role in His Kingdom for every follower of Christ whether Jew or Gentile, male or female, young or old, bondservant or free. Although Jesus came to earth in human form through a Jewish woman, His Person transcends human perception because He is also God. He had none of the limitations that humans have because He had the fullness of the Father, the fullness of the Holy Spirit and the fullness of Truth within Him. He was God in fullness. Wherever Jesus was, He carried within Him the full consciousness of God’s presence and power. Jesus experienced the feelings of humans in His flesh body, but He was Divine on the inside because He had no sin. Unlike all other humans – whether Jew or Gentile – Jesus is holy so no human can boast of their goodness. Jesus did not limit God and His power as He walked the earth because He was sinless. Humans do because we have sin. In spite of Israel’s many transgressions and disobedience to God, God remains faithful to His promises. As Jesus said, the Jewish nation had a unique place in God’s plan of redemption. So does the Body of Christ. Jesus, the greatest of all, came to earth as the Perfect Hebrew and Perfect Man who obeyed the Law and the Covenants of God perfectly. God who is all-knowing knew that both the Jews and the Gentiles could not live up to His high and holy standards because of the weakness of our sinful flesh. Jesus is our answer, just as He was the answer to this Samaritan woman’s sinful life. He will forgive, heal, regenerate and restore her to newness of life. We are all – Jew and Gentile – equally guilty, equally loved and on equal ground at the foot of the cross of Jesus Christ. All are in need of His grace and truth. Jesus will take who this woman “was” and help her “become” all that God intended for her through His Son. No longer will worship be in an earthly temple on an earthly mount. Genuine worship is not just coming to a certain place and going through rituals. True worship is when the spirit of a human, which is immortal and invisible by the Spirit, meets the immortal and invisible God who is Spirit. God is not confined to places. God is everywhere and in the hearts and spirits of those who love and follow Jesus. Jesus takes worship from a physical building and brings it inwardly to the heart – the place of love. True worship will now be in Spirit and in Truth. God is Spirit; Jesus is Truth and the Holy Spirit is the Spirit of Truth. Therefore, those who love and follow Jesus will worship in Spirit and in Truth. Our spirit is the deepest and highest part of us through the new spiritual birth in the Spirit and in Truth. God wants to reach deep into our spirit to teach us Truth. We will need the full Godhead to help us in our new spiritual walk as we are becoming His temple. True worship is when the spirit of man meets the Spirit of God. True worship is a life, not a song! Jesus wants us to offer ourselves a living sacrifice to Him as He offered Himself as a Living Sacrifice for us. Jesus has been opening up truth to this Samaritan woman. She is very close to accepting Jesus as her Lord and Savior. She has confessed her sinful lifestyle and has listen to the Word of God coming from Jesus. She says to Jesus, “I know that Messiah (called Christ) is coming. When He comes, He will explain everything to us.” V25 This Samaritan woman knows that a Messiah is to come because the scriptures written by Moses prophesied of the Messiah. The whole Truth – Jesus – is speaking to her. He has helped this Samaritan woman face the truth about herself. Now Jesus will help her see that He is the Truth and the Messiah for whom they have been awaiting. Jesus speaks His Word to this sinful woman six times in this account of the meeting at Jacob’s well. On the 7th time He speaks to her, He will reveal who He is to her. “I who speak to you am He (Messiah).” V26 This is the first time Jesus called Himself the Messiah. He saved this revelation for this adulterous Samaritan woman who would become a part of His beautiful, virtuous, spiritual Bride. Next week I will tie the Older and New Testament together by showing that the meeting of Isaac’s bride-to-be Rebekah and Abraham’s faithful servant at the well was a type and shadow of this meeting of Jesus and this Samaritan woman at the well. 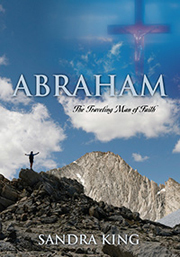 Abraham is a type and shadow of our Heavenly Father, Isaac is a type and shadow of Jesus, and the faithful, unnamed servant of father Abraham is a type and shadow of the Holy Spirit. It is important when studying scripture that you always keep in mind that Jesus was fulfilling scripture when He came to earth the first time and will complete the fulfillment when He comes again.